Over his thirty-four-year career as Lunar’s cofounder, Gerard Furbershaw received recognition in numerous product design books as well as annual design competitions. 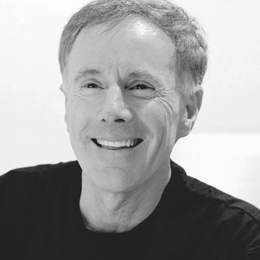 The University of Southern California’s (USC) School of Architecture selected him as its 2012 Distinguished Alumnus. In 2014, Lunar received the Cooper Hewitt, Smithsonian Design Museum’s National Design Award for Product Design in recognition of its body of work. In 2015, Lunar was acquired by McKinsey & Company. In 2018, he and fellow Lunar cofounder Jeff Smith formed SmithFurbershaw (SF). SF’s focus is on bringing beauty and art to limited-edition furniture pieces. Furbershaw launched and chaired the APDF Royalty and Licensing Summit series and taught at the USC School of Architecture’s XED executive education program. He was also an adjunct professor in San Jose State University’s Industrial Design Program teaching design entrepreneurship. He has been a judge for the Good Design and Spark Award programs. He has served as President and Chair of the Board of APDF, Chair of the San Francisco Chapter of IDSA and a Trustee of the Design Foundation. He holds a bachelor’s degree in architecture from USC and a bachelor’s degree in industrial design from San Jose State University.